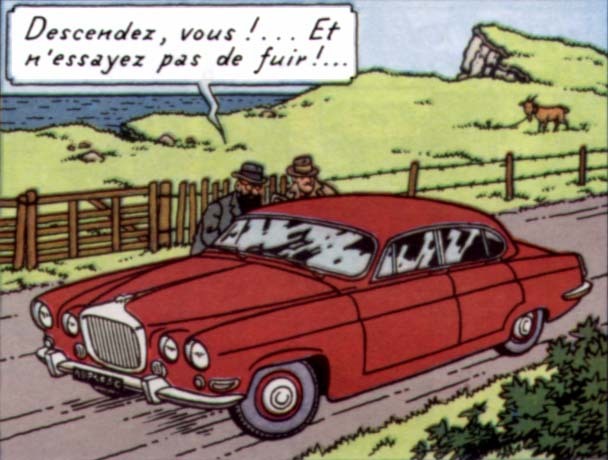 In the 1966 version of “The Black Island”, Tintin crossed over to Dover by Ferry and took a Ford Zephyr Taxi to Eastdown. While he was on the way, the villains followed him in a Maroon coloured car. This was another luxury car, a Jaguar Mark X. As a child, this car had attracted me to Tintin and forced me to realise that the cars drawn in Tintin were real cars and not just imaginary renditions. Reason, I had been gifted with a blue Jaguar Mark X model as a birthday gift. I still own and cherish that car. 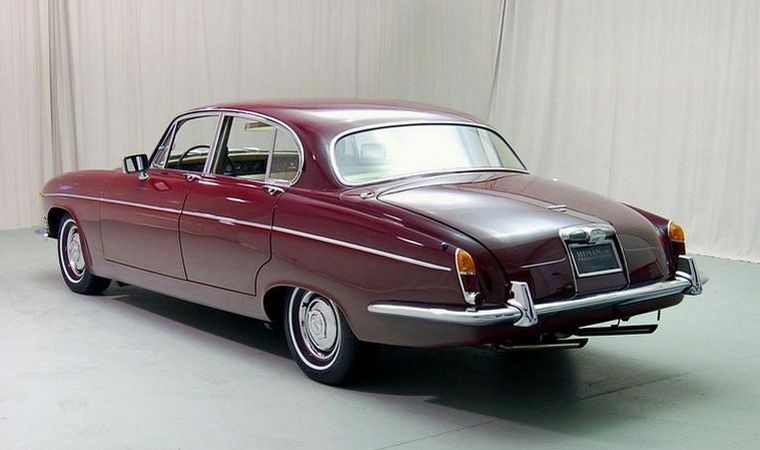 The Jaguar Mark X was manufactured for ten years from 1961 to 1970. 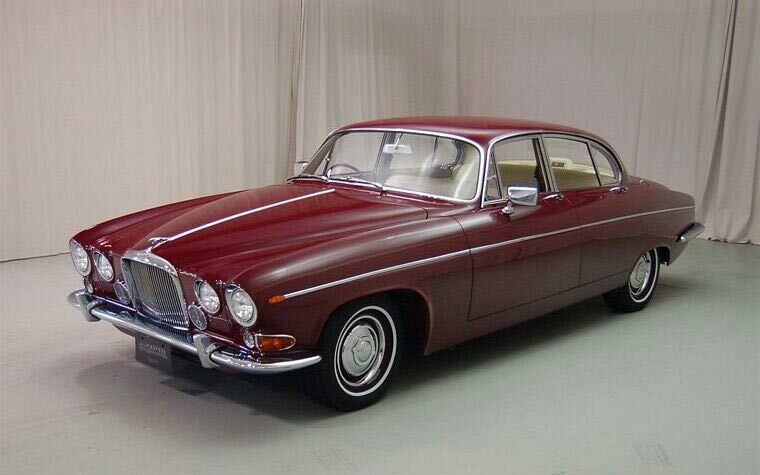 It was the largest and most luxurious car offered by Jaguar and was primarily aimed at the American market. Mark X were the last Jaguars offered with abundant standard woodwork inside the cabin. 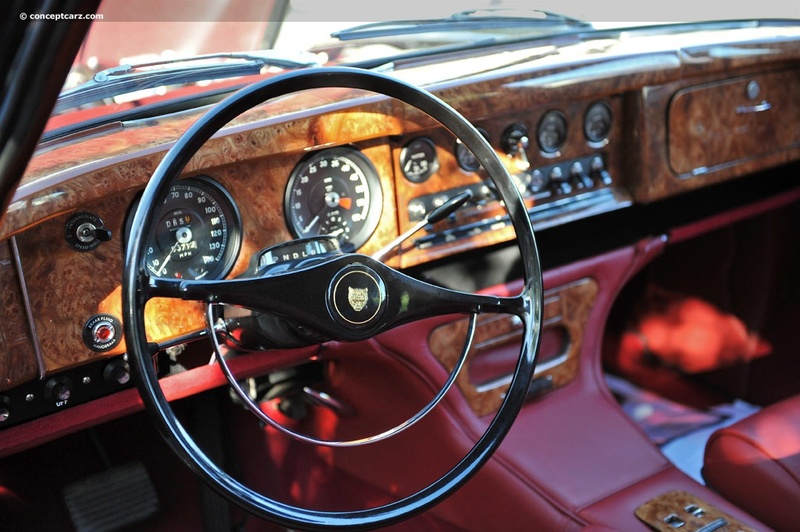 These included wooden dashboard, escutcheons and window trim. 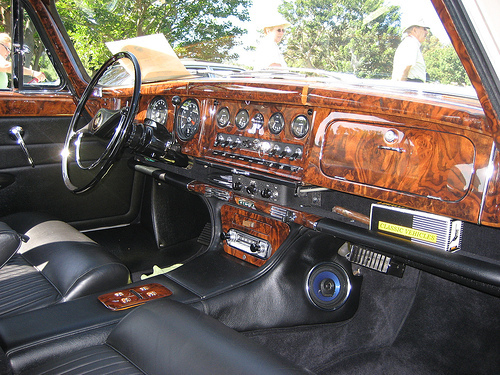 Jaguar also offered a pair of large book-matched fold out rear picnic tables at rear and a front seat pull-out picnic table stowed beneath the instrument cluster. Incidentally, despite all such luxuries this car was not offered with air conditioning even as an option till 1965. 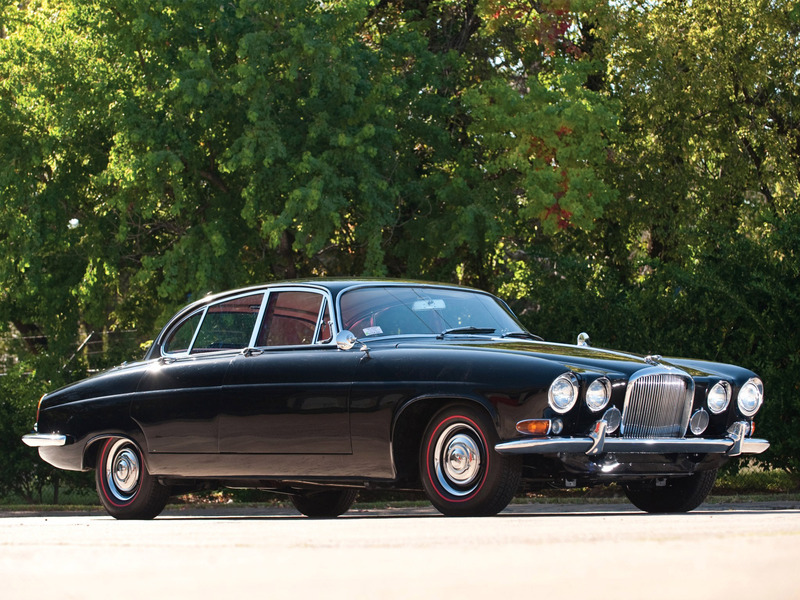 In fact owning the Jaguar Mark X was considered to be as much of a prestige as owning a Rolls Royce. 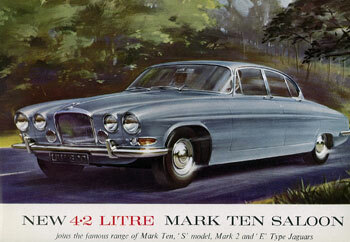 Mark X was one of the largest Jaguars on offer ever, nearly six and a half feet (1,930 mm) across the fenders and sixteen feet (4,876 mm) from front to rear bumpers. These cars had monocoque construction and the heavy doors had to be provided with helical springs in order to allow them to be opened from inside. This huge car weighed 1,900 Kgs. Till 1964 all this bulk was propelled by a naturally aspirated 3,781 cc inline six cylinder petrol engine. This engine produced 265 BHP at 5,500 rpm and a twist of 352 N-m at 4,000 rpm. The torque was transferred to the rear wheels using either a four speed gear box or four speed gear box with overdrive. Alternately, it could also be ordered with a three speed automatic gear box or a three speed automatic with overdrive. The automatics had Borg-Warner trannies. In 1964 the 4,235 cc inline six cylinder engine was introduced which still produced 265 BHP but at 5,400 rpm, but the torque figure went up by 9% to 384 N-m. Fuel to both the engines was fed through three SU carburettors. While the 3.8 litre cars had a top speed of 192 km/h (120 mph) the 4.2 litre cars could be pushed up to 195 km/h (122 mph). However, the main difference was in the acceleration, the 3.8 litre cars reached 100 km/h from a standing start in 10.2 seconds while the higher torque of the 4.2 litre cars helped shave of 0.6 seconds with these cars reaching 0-100 km/h in 9.6 seconds. To control these speeds and to bring the cars to a halt they were provided with disc brakes on all four wheels. The front suspension of these cars comprised independent coil and wishbone arrangement while the rear suspension was also independent but used twin coil spring & wishbone with radius arms and anti roll bar. Though these cars were huge by European standards, they were still smaller than the Cadillacs built in USA, the main market of Mark X. As a result, they were considered as mid-sized cars in USA. 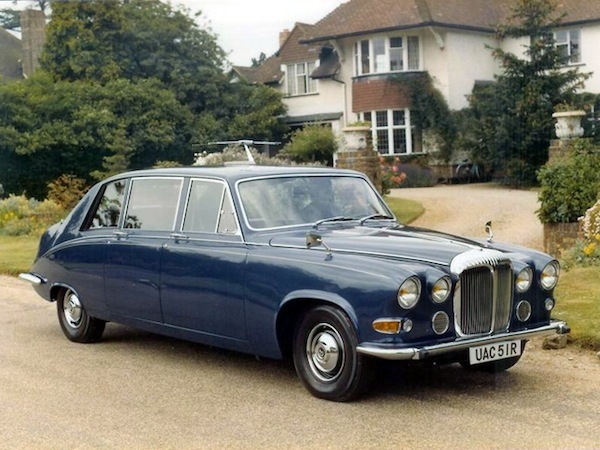 Daimler and Jaguar had sister models. The sister model of the Mark X was the DS420, a car very popular with the Royalty and bureaucracy in Europe. DS420s were used by Queen Elizabeth Queen Mother of the present Queen Elizabeth II, The King of Denmark, Grand Duke of Luxembourg and the Governors of Bermuda and Tasmania among others.